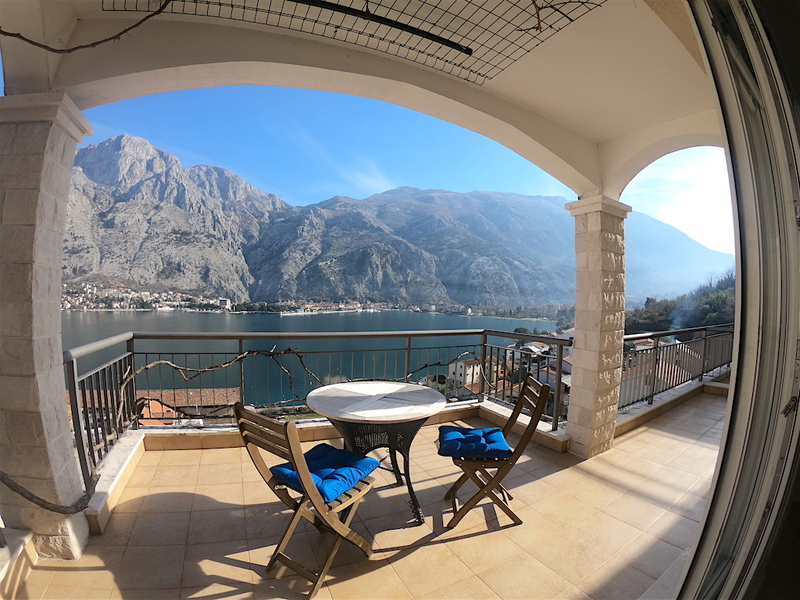 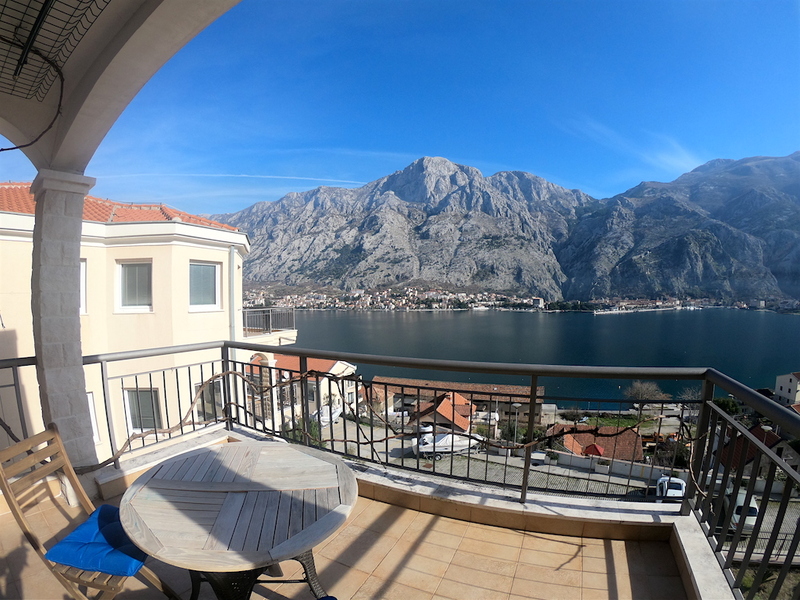 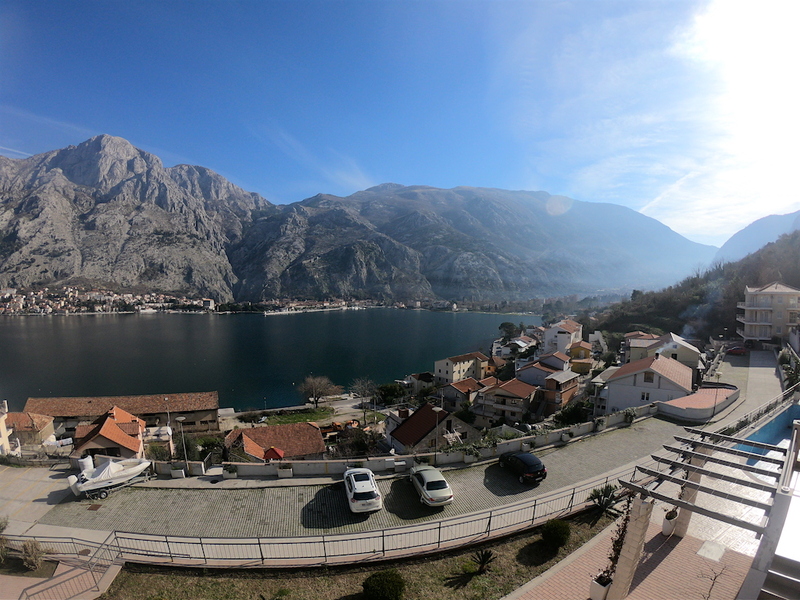 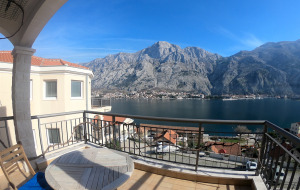 Spacious apartment with astonishing view of the Boko-Kotor Bay in the new condo complex with swimming pool. 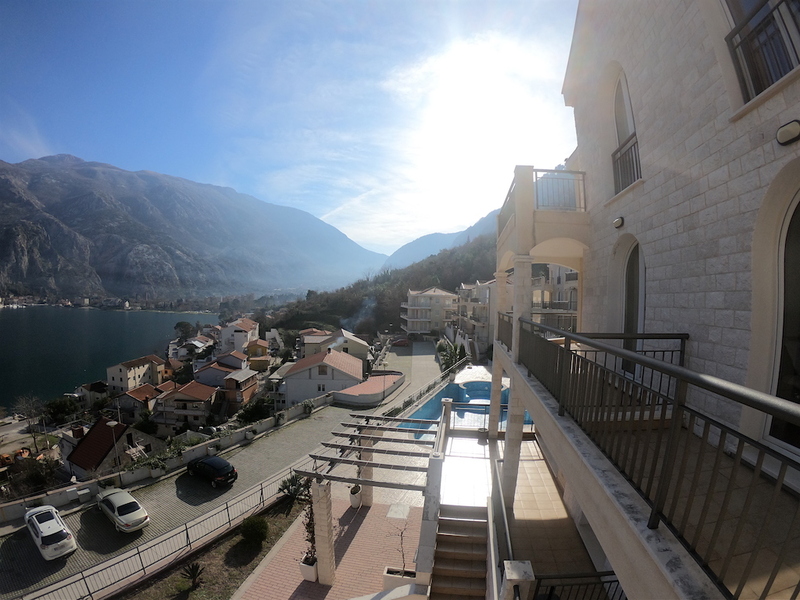 The condo is located in the Kotor’s suburb Muo close to all infrastructure. 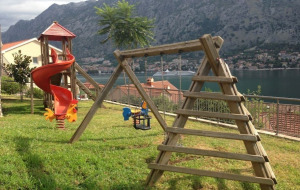 On the complex territory there are 6 buildings, two swimming pools (for grownups and kids), and parking space. 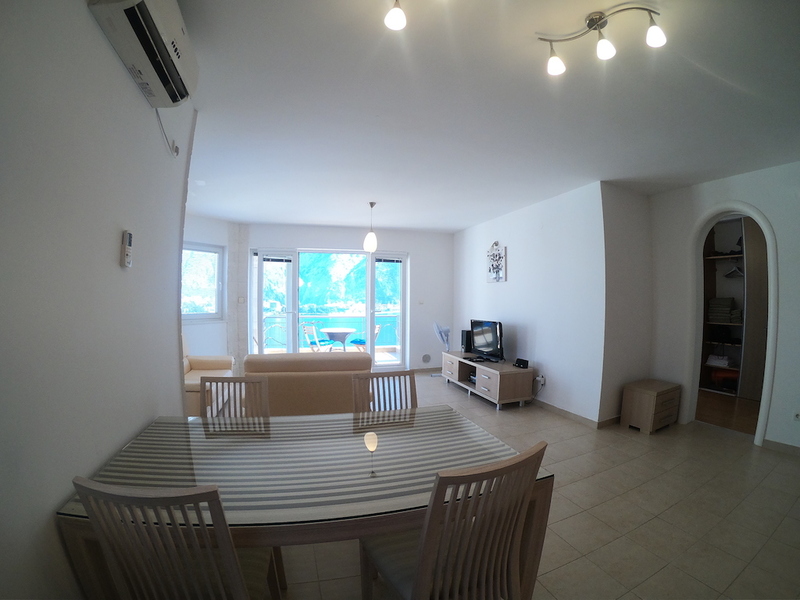 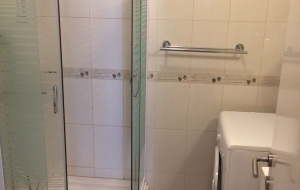 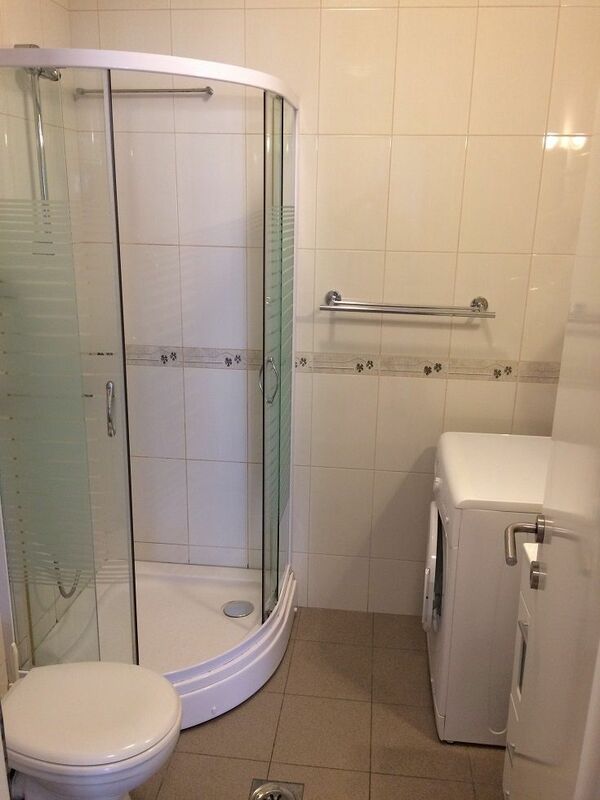 The building has easy access from the main road, designated parking spot is included into apartment’s price. 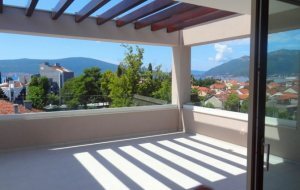 It has living room with kitchen and dining area, two separate bedrooms, two bathrooms and big open terrace with amazing panoramic view of the bay. 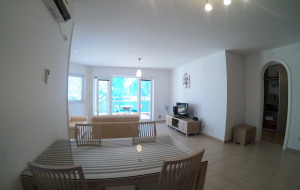 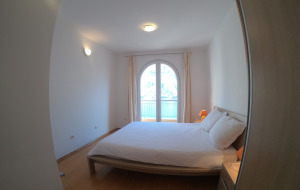 The apartment is fully furnished and has all home appliance, TV and Internet. 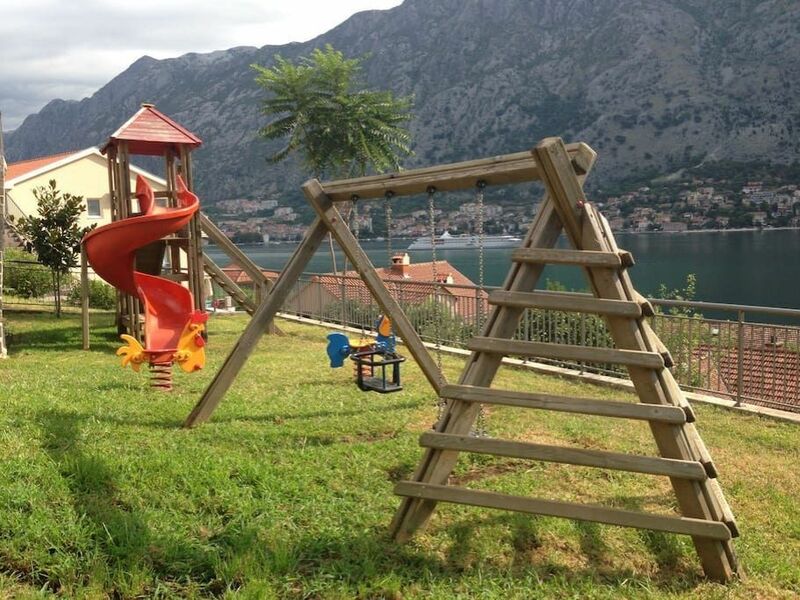 The village of Muo has a comfortable location in close vicinity to the old beautiful town Kotor, which is protected by UNESCO. 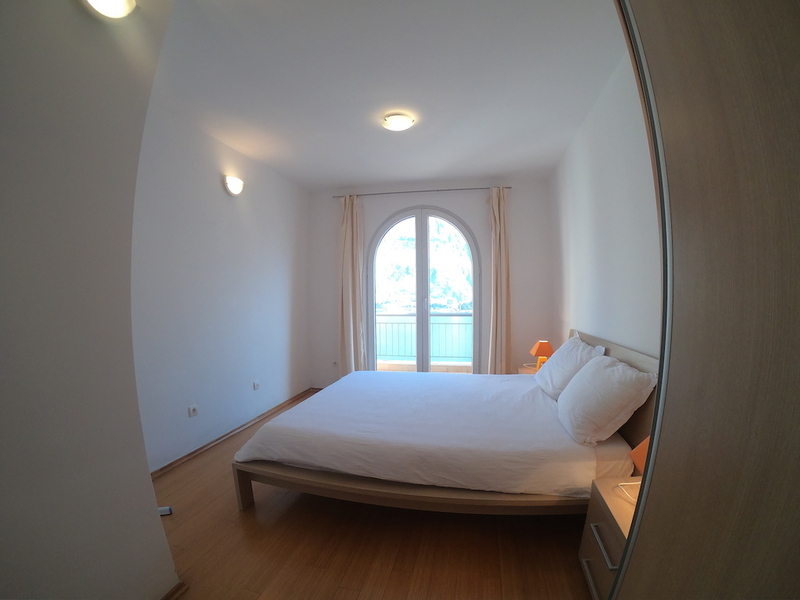 One can walk along the seaside to the Old Town, it’s only 1.5 km away. 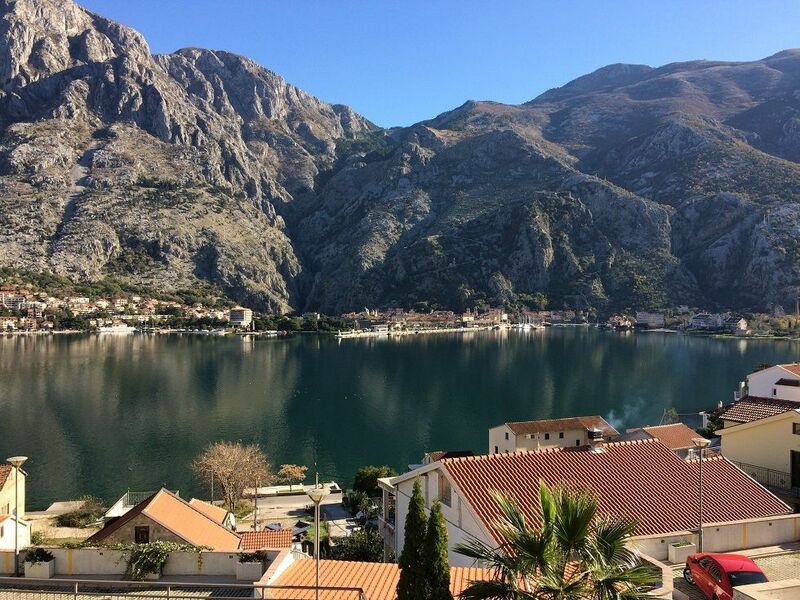 The promenade in Kotor has numerous cafés, restaurants, parks, and beaches, while the town is surrounded by olive and citrus trees. 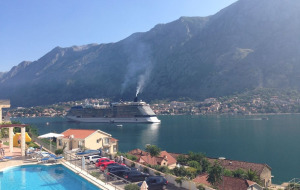 All necessary infrastructure is around: retails stores, banks, pharmacies, and health center. 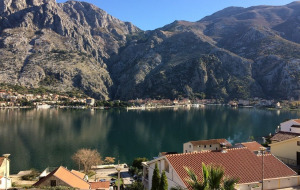 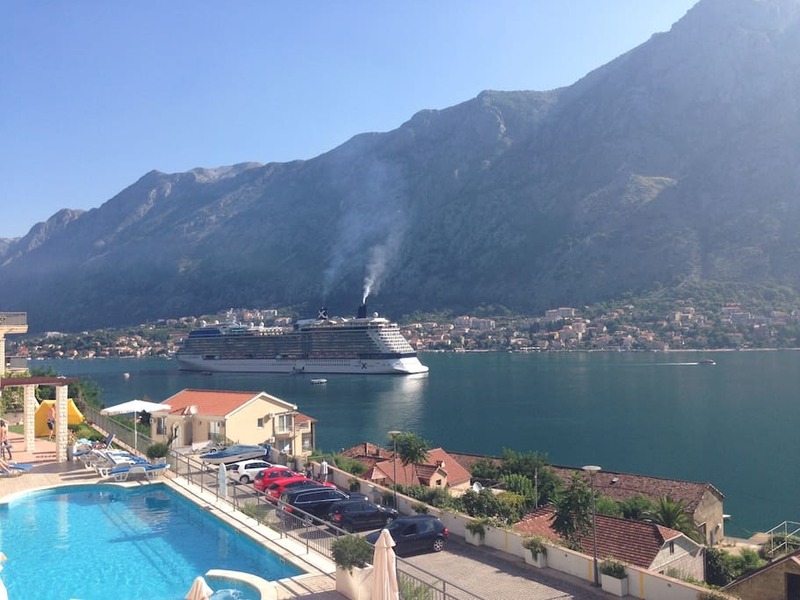 Kotor Bay is truly amazing place with breathtaking sceneries, warm climate and rich historical heritage. 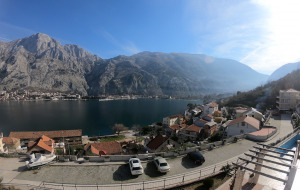 The Bay is under UNESCO protection and known for its small ancient villages inspiring artists and poets around the world. 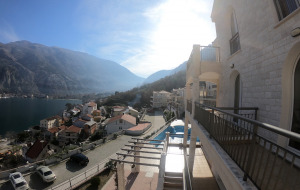 It’s an ideal place for tourism and year round living. 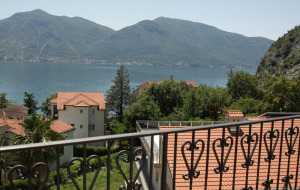 The property here is always on demand among local and foreign buyers.